It’s a mystery: Your letter is dated 9/30/16 but the envelope is postmarked 28 NOV 2016. Did it take you that long to find a stamp? Thanks for your letter. I’m always glad to hear from a “Scary Tales” fan. I think you are right about clowns. 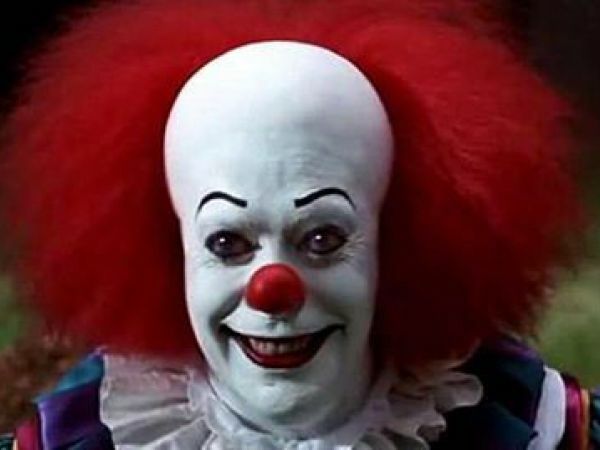 There’s something inherently frightening about clowns. It’s the creepy makeup, right? The big feet? Just the insanity of anyone who’d dress up like that? The famous horror writer, Stephen King, famously conjured a truly scary clown character in his classic book for adults, It. Maybe there’s room for one for somewhat younger readers. I’ll think about it. Thanks for the (free) tip. 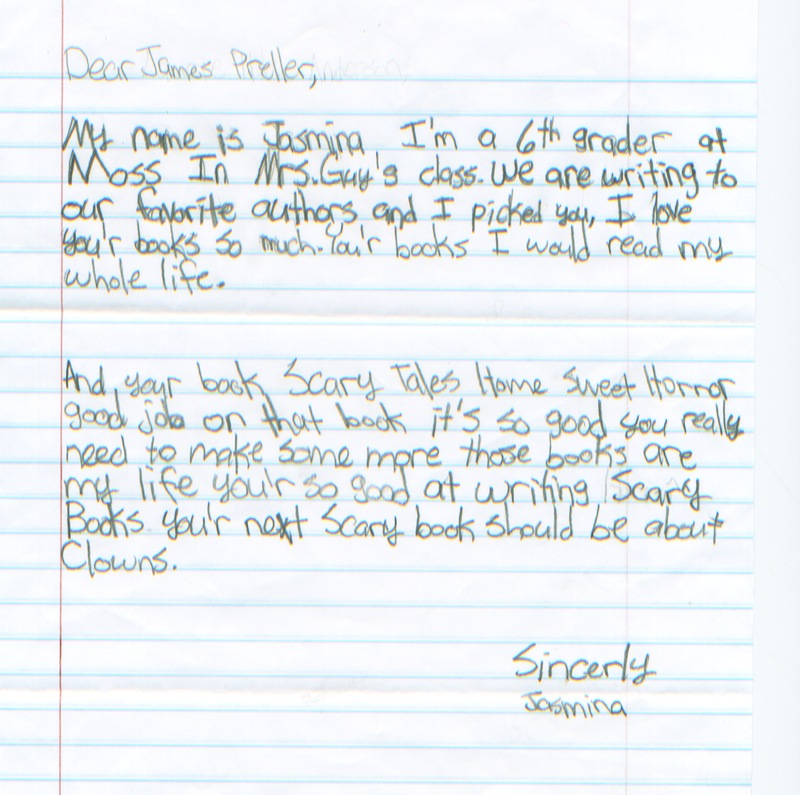 Btw, if I do write the book, I’m not sharing the money, Jasmina! To date, I’ve written six books in the “Scary Tales” series. I don’t know if there will be more or not; it’s up to the book-buying public, to be honest with you. I am planning a new thriller/scary story for middle grade readers, where I take the fear to a new level. With “Scary Tales,” I always had to hold back. With this one, I’m hoping to raise it a couple of notches. Tentative title: Blood Mountain.